Main Tera Akshay Lyrics – Babbal Rai: Babbal Rai is back with this song which is composed by B Praak and written by Jaani while its music video which is directed by Baljit Singh Deo. Ni jehde jehde tu club vich.. 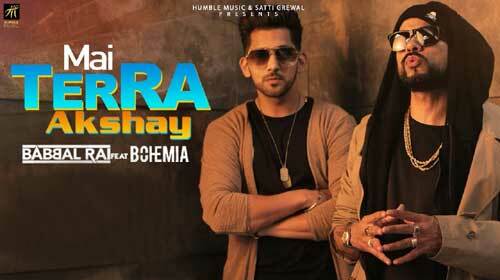 If you find any mistake in lyrics of MAIN TERA AKSHAY LYRICS – Babbal Rai | Bohemia song please let us know in comments.